These grass fed ribeyes (aka whole ribeyes, ribeye rolls) have been almost completely trimmed of surface fat and less desirable tail meat (0x0), so they’re ready to cook or slice into ribeye steaks with almost no additional butchery work. Store fresh ribeye rolls in your refrigerator. Frozen ribeyes should be kept in your freezer until you’re ready to use them, then completely thawed before cooking. 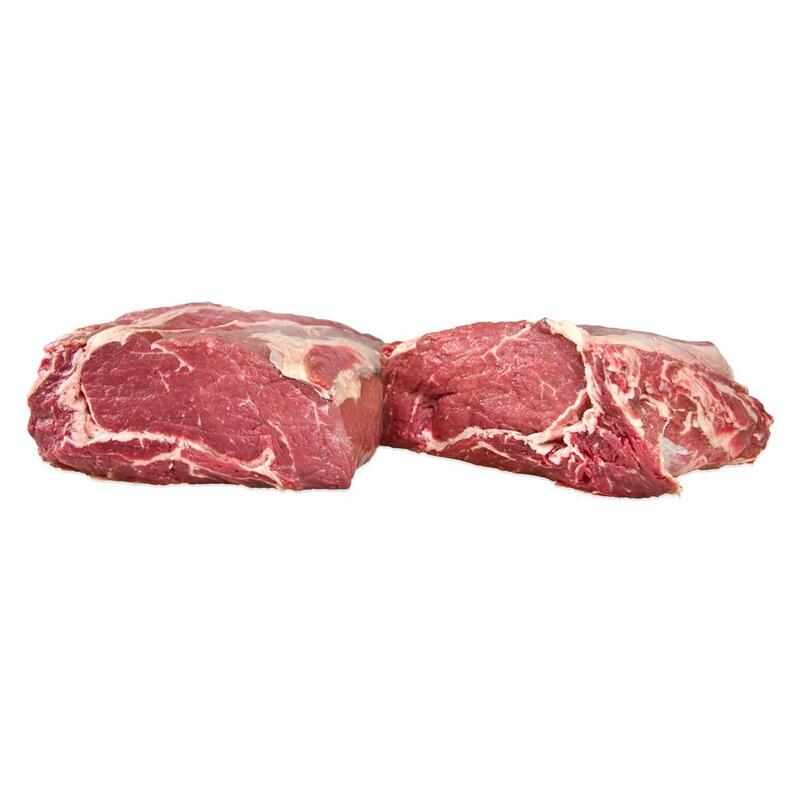 Whole ribeye rolls can be roasted whole or as portions for intensely flavorful roast beef (really boneless, trimmed prime rib) or sliced into individual rib eye steaks. 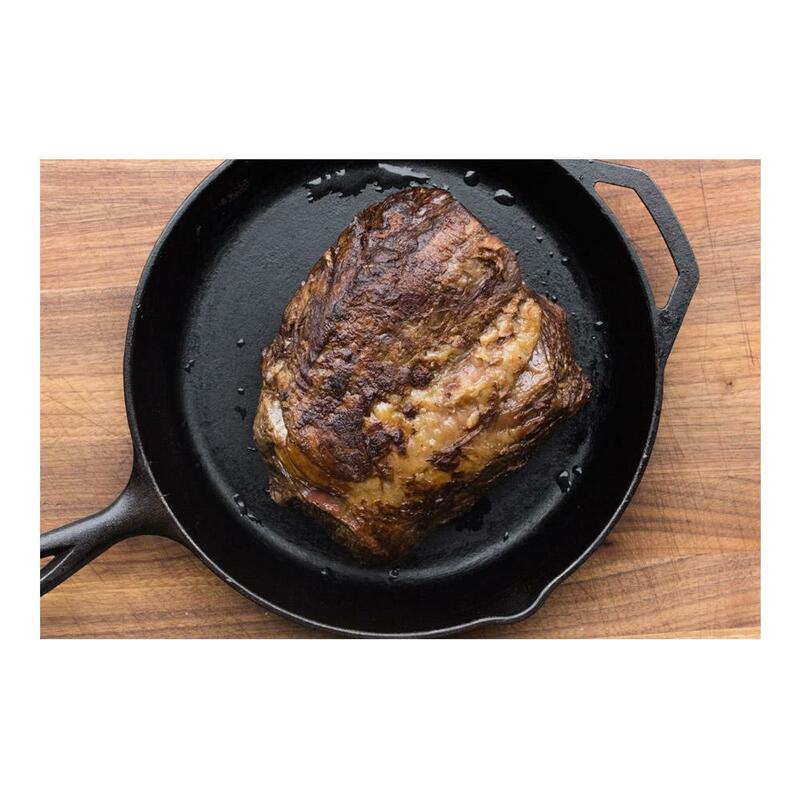 Larger cuts of beef (like whole ribeyes) are best roasted with a probe thermometer, which allows you to remove them from the oven at exactly the right time. Because they will continue to cook from residual heat you should remove them from the oven 5-10 degrees before your desired finished temperature. They also should be rested (on a clean plate covered in foil) for 15-20 minutes prior to serving or cutting, so the flavorful juices can thicken and don’t run out onto your cutting board. If you’re cooking individual ribeye steaks, they only need to rest for about five minutes before you serve them. Many ribeye fans insist that the meat should only be seasoned with salt and pepper (or at most rubbed with some ground chiles and/or spices) so that the intense, beefy flavor of this cut can shine through. Other people serve it with a pan sauce or simple jus.